You may be searching for electric cars, but thinking they’re out of your budget. Whether your teen is currently preparing to get their driver’s license, or you’re in the market for a new car yourself, what can you do if you want an electric car,but you can’t or don’t want to pay a fortune? First, what are the benefits of electric cars, whether for teens or otherwise? 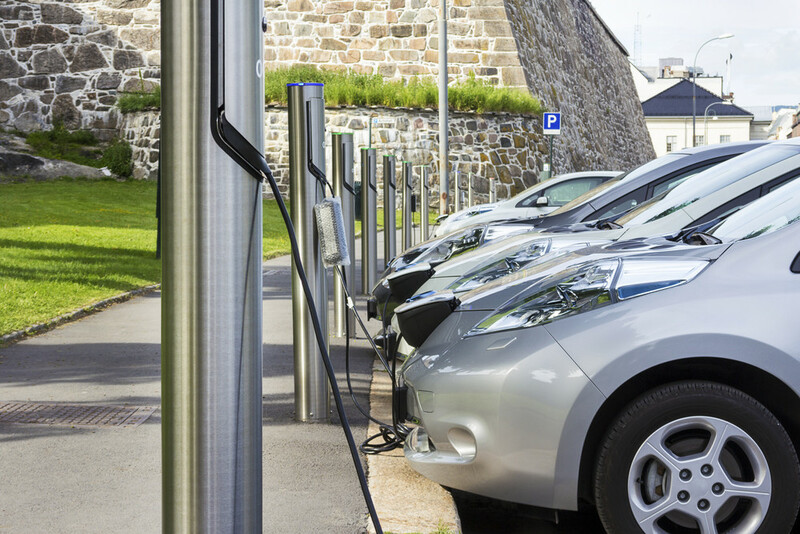 Electric cars can reduce or even eliminate fuel costs. Of course, they reduce emissions and help the environment, and they may help you meet your personal goal of becoming more energy independent. So, understanding the benefits, what are the best electric cars that are budget-friendly for new drivers, or drivers who want to be eco-friendly but don’t want to pay a lot? The following are some of the top-rated inexpensive electric cars on the market now. The Smart EQ For Two Prime Coupe has an MSRP that starts at $26,740 right now, but with the federal tax credit available, it can be as low as $19,240. This car is small and features 15-inch wheels, and an amenity called the Lightning Package. The Smart EQ also includes fog lamps, honeycomb taillights and on the inside, there’s ambient lighting. The panoramic sunroof lets you get plenty of fresh air, and it’s engineered with Mercedes-Benz and has the same safety standards. For example, there is an energy-absorbing crumple zone and Crosswind Assist, as well as anti-lock brakes. The battery is located in the underbody, which increases the level of safety and protection in the event of a collision. You might not necessarily think about BMW and inexpensive together, but that’s not necessarily the case with the electric BMW i3. This chic, compact and fully-electric BMW has a higher capacity battery that can be fully charged in less than six hours. There is a range increase of over 30 percent, and the total maximum range is up to 153 miles. With the range extender, that goes up to 200 miles. Along with being a great hybrid and electric car, this option is also often named as one of the best luxury small cars. It’s not as inexpensive as some of the other options on this list, but with tax credits, it can be in the $30,000s range. The Ford Focus is a good all-around economical and compact car option, but many people don’t realize an electric version is available. The Focus Electric has a range of 115 miles and gets a fuel economy estimate of 107 MPGe. It takes around 5 ½ hours for a full charge using a 240-volt outlet. If you use a household 120-volt outlet, it takes around 20 hours for a full charge. The MSRP is around $29,000, but with federal tax credits, your price is down to around $21,000. There is a Hyundai IONIQ hybrid and also an all-electric version of the car, although it’s not available in all states. The starting MSRP is $30,315, not including the $7,500 federal tax credit. This car has a 124-mile electric range and is available in a more expensive IONIQ Electric Limited version as well. The IONIQ Electric includes 118 hp, a 7-inch display with Apple CarPlay and Android Auto, Blue Link connected car and remote packages, and fast-charging DC options. In addition to these features, the Limited version of the IONIQ includes automatic emergency braking with pedestrian detection, leather seats, and 8-inch touchscreen navigation equipped with Infinity Premium Audio. The Chevy Spark is compact and has a starting MSRP of $13,220, which is one of the most budget-friendly electric cars currently available. Features of this car include standard rear vision cameras, ten standard airbags, and an Infotainment 3 System with a 7-inch touch screen. It’s available in fun, vibrant colors like Caribbean Blue Metallic and Passion Fruit, and it has EPA-estimated 38 MPG highway. Safety features of the small car include a steel safety cage, in addition to the ten airbags. There are a forward collision alert, lane departure warnings, and when you’re traveling at low speeds, it can detect the potential for a front-end collision. The Spark includes 15-inch aluminum wheels, roof rails, a raised suspension package, and leatherette heated seats in the front.